Home / self / 3 Things That Are Holding You Back From The Life You’ve Always Wanted. 3 Things That Are Holding You Back From The Life You’ve Always Wanted. One day never happens. The fairy-tale often becomes a daily nightmare that you’d rather forget and put to the back of your mind through eating, Netflix, chilling with your peeps and drinking alcohol. The realization I had after learning these three things were holding me back was profound. Overcoming these three things will help clear your mind, create space and let you do the stuff you love. These three things are nothing new. Mastery of these three things that are holding you back, though, will help you get the results that you’ve never experienced before. I avoid these three things like it’s part of the bible of my religion. I’m also non-negotiable on all three because they have been the pinnacle of my online success. You can stop these things from holding you back right now! In our day-to-day lives, we have information coming at us from all directions. People around us, our day jobs, the Internet, our phone and even the billboard at the bus stop are all trying to give us more information. All of this information enters our brain and becomes a systemic overload for our mind that is already overwhelmed. To have the life you’ve always wanted, you need to put a stop to most of the information that is coming at you. We now have access to more information than ever and it’s not a good thing. To live the life we want and do the things we love, we have to leave room for them. It’s time to decompress from all the information. Getting the life you want means executing and executing is the close second cousin of making decisions. 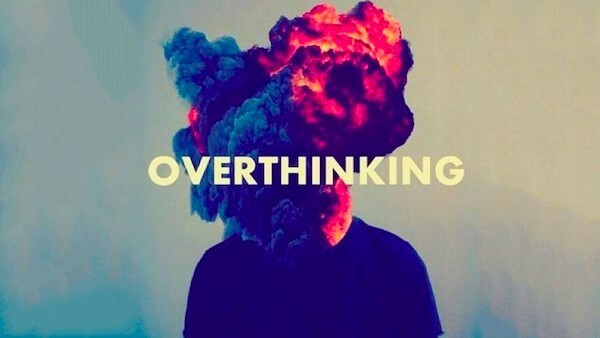 The other main cause of overthinking is perfection. We overthink because we’re waiting for the right time or trying to achieve the best possible result. You’ll never predict what the result is going to be so stop hanging out for perfection to join the party. I now force myself out of overthinking when I’m faced with a decision and have cut off from all other possibilities. That doesn’t mean I make quick decisions that end up being stupid: it means that I’m consciously aware of overthinking and the failure caused by it. Every decision needs a countdown timer otherwise it will turn into overthinking. Whatever you do, you must avoid overthinking so you have the brain power to achieve your goals and get the life you want. Allowing decisions to drag out is not the only disaster we face. Trying to make too many decisions is also a big problem. To create space in your life, you need to reduce the number of decisions you have to make. Reducing the volume of decisions can be done through choosing to live a simpler life and embracing habits. Habits are decisions that are made once and then just occur on auto-pilot with a set frequency in mind. For example, I go to the gym on Mondays, Wednesdays and Saturdays. Each of these decisions looks tiny. What you’re missing is that each one is not tiny at all. When added up, the energy, time and effort you’re wasting on decisions like these are stopping you from using those resources on getting the life you want. Becoming a successful blogger, entrepreneur, YouTuber, sportsperson, salesperson etc requires all the decision-making ability you have. Let’s use business as an example. Running a business requires lots of decisions every day. If you’re using your decision-making power to decide whether to wear the blue shirt or the red shirt, then you’ll have less inner strength to make the right business decisions. In the end, unless you’re a fashion blogger, the color of shirt you wear doesn’t matter much. What matters is that your business succeeds and you feel fulfilled. Divert your decision-making energy into your passion and not into useless sh*t that will never make you successful.